VLM Airlines is launching a new thrice-weekly flight service from Birmingham to Antwerp in Belgium. Set to start operation in October 2015, the flights will run on Mondays, Wednesdays and Fridays. Steve Blair, chief operating officer of VLM Airlines, said the launch was in line with what both business and leisure customers wanted. "There are strong business synergies between these cities for industries including fashion, diamond, automotive and chemicals. 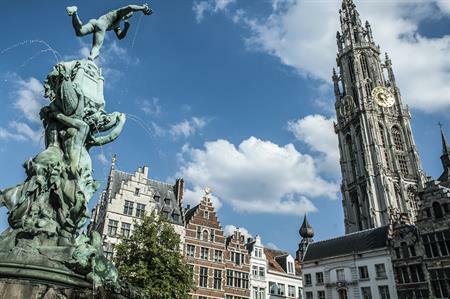 We are confident this new route will also be attractive to people looking for a city break and can be used as a gateway to Bruges, Ghent and Brussels, all accessible in under an hour from Antwerp." William Pearson, aviation development director of Birmingham Airport, said he expected the service to be popular with business travellers, given the airport’s proximity to the city centre, fast check-in service, and parking options. VLM Airlines now offers scheduled services to seven destinations in five countries, including Geneva, Hamburg, Southampton, Waterford and London Luton.